Don't get lost in the crowd! Make sure you have these handy directions nearby for your next trip to Flyfaire and you'll never be lost again. Phone Reception: Please note that once you are on the Tunnel Road, you may lose mobile phone reception at some point. From the heart of Albury -Wodonga, we're only 39mins away or 53.5kms. From Wagga Wagga, it's a wee bit further at 110kms or 1.5hrs. Take Woomargama exit heading towards the Woomargama township (Woomargama Way) when you see the brown tourist sign. You will be turning right. Take Woomargama exit heading towards the Woomargama township (Woomargama Way) when you see the brown tourist sign. You will be turning left. Once in the Woomargama Township, turn right onto the Tunnel Road once you arrive. It's just after the Woomargama Pub. 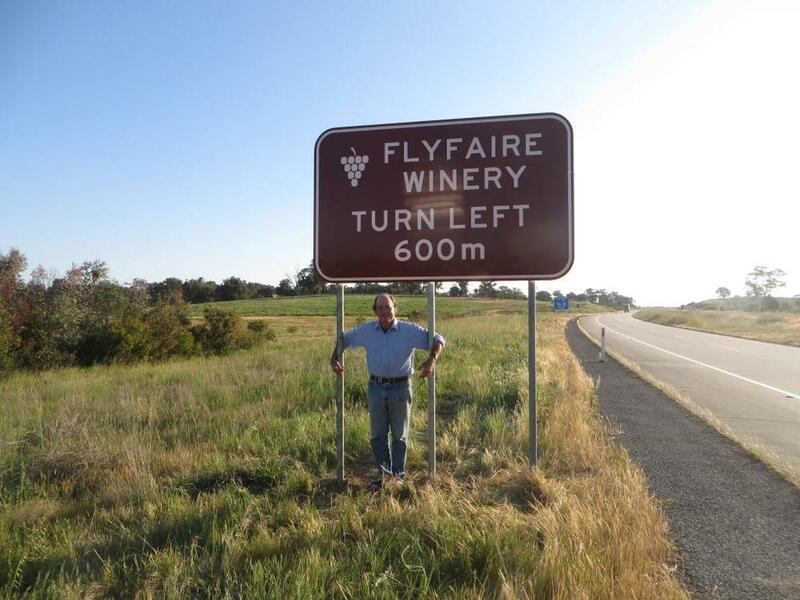 Make sure you look for the Tunnel Road sign where a small brown Flyfaire Wines (11.9km) sign is also indicated (we're working on obtaining a larger sign to indicate the turn-off). Drive for 11.9km and we'll be on the right. Look out for the 10km marker on your way; we're 1.9kms from here. You will see a sign on your right at the entrance to Flyfaire as shown below.